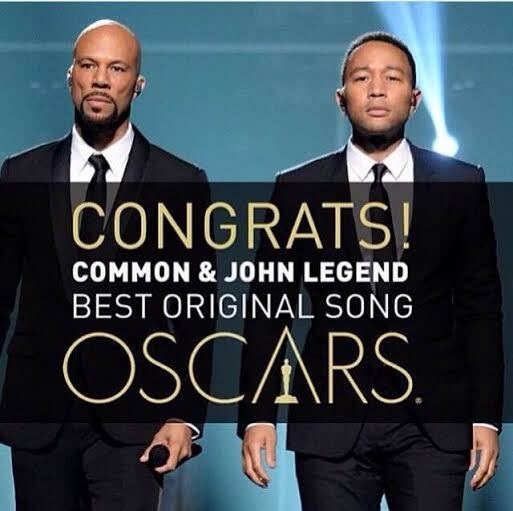 For winning the Best Original Song Oscar for “Glory” From Selma. Cameroonian-Nigerian pop star Dencia sent out a Twitter attack aimed at Lupita Nyong’o after the “12 Years a Slave” star revealed that she persuaded a fan not to purchase Dencia’s skin-bleaching cream. Lupita Nyong’o was a guest speaker at the Essence Women in Hollywood Luncheon where she opened up about the importance of loving your skin complexion and I much commend her for doing so. There are so many black women who feel their skin isn’t light enough, their noses are too wide, waists not small enough or body frame too voluptuous. During her speech she shared her own journey toward accepting her dark skin and revealed that a fan wrote her a letter thanking her for influencing her decision not to purchase Whitenicious, Dencia’s skin-bleaching cream. The typo- and grammatical error-filled Twitter rant captured quite a bit of attention as Dencia claimed that white companies own Nyong’o. “I don’t have a record deal or pple who pay me i pay every1 who works 4 me so I can tweet how I feel unlike most celebs n my money still here,” another tweet read. Many Twitter users stepped in to defend Nyong’o against the attacks, but it’s not as if the star needs the help. Nyong’o hasn’t responded and is instead continue to flaunt her beauty, love her gorgeous skin and shine amid the dozens of awards she has snagged this season. As for the letter that made Dencia so angry, it was intended to be the center of a beautiful moment — not a Twitter war. Nyong’o said her “heart bled a little” when she read those words and she said she hopes she can continue to encourage young women to embrace their black beauty. Dencia cannot be angry with a fellow black woman who loves herself for who she is, and for this woman inspiring other black women to do the same. Maybe Dencia needs to look at Lupita as an example of self-love and embrace her own self. I can’t say it enough, Black Woman – Love yourself!